With a climate change-denying Trump administration in the White House and fear-inducing predictions of what our world might look like a few degrees warmer, it’s understandable that many people have lost hope about the future of our planet. But the scientific community is on the constant search for solutions, making advances and breakthroughs to fight climate change. Others including Hollywood celebrities are also speaking up about the crisis and what can be done about it. Here are six reasons to be optimistic. In early October 2016, 55 countries with 55% of the world’s greenhouse gas emissions ratified the Paris climate change agreement. On November 4, it came into force. The main long-term goal is to keep the increase in global average temperature to well below 2°C above pre-industrial levels. Read: How will the Paris climate agreement change your day-to-day life?. 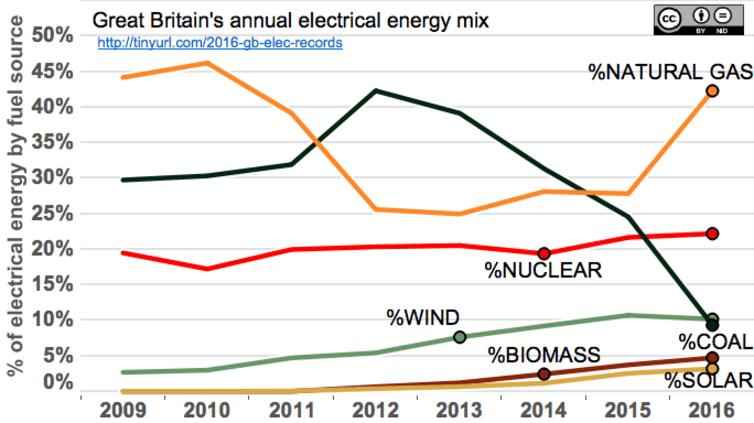 Read: The year coal collapsed: 2016 was a turning point for Britain’s electricity. There is huge potential for using electric vehicles to tackle climate change, giving us cleaner air and growing the green economy. The question is, when will it make sense for most of us to ditch diesel and petrol, and go electric? Given the pace of innovation in the sector, it looks to be just around the corner. 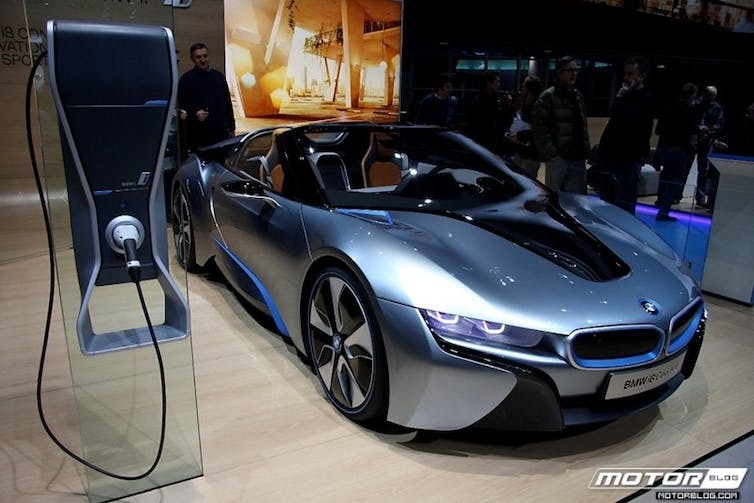 Read: Five reasons why you might be driving electric sooner than you think. In 1993, nine 300kW turbines were installed on the eastern pier at Blyth Harbour, near Newcastle on England’s east coast. One can question whether this really counted as an offshore wind farm, but it was the UK’s first tentative step towards building wind turbines at sea. Ten years later, the country’s first truly offshore wind farm was built at North Hoyle in Liverpool Bay, 6km from the coast of North Wales. Thirty 2MW turbines were installed which could provide the electricity needs of around 40,000 homes. Fast forward to 2016 and the UK is the world’s leading developer of offshore wind power with a total installed capacity of more than 5,000MW. Read: Britain is only just beginning to exploit its vast resources of offshore wind. Read: Magma power: how superheated molten rock could provide renewable energy. The world’s largest green house gas emitter could certainly use US inaction as an excuse to backslide on its promises of greenery. But China could instead see this as an opportunity to project itself as the planet’s leading custodian. It is already heavily investing in renewables. Opening the annual National People’s Congress in March, Premier Li Keqiang pledged to “make the sky blue again”. The report he presented and the legislation and decisions made at the congress all stressed environmental issues. Read: Why China is serious about becoming the global leader on climate change. Now go and switch some lights off.